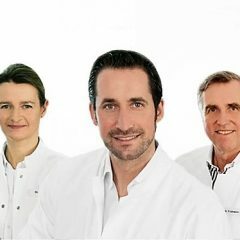 The practice Dr Frühwein und Partner is your GP and internal medicine practice and covers the entire spectrum of internal and external diseases. This includes prevention, diagnosis and therapeutic treatment in primary care, acute care, long-term care and rehabilitation. As a general practitioner in Munich, we are your universal contact point for advice and medical complaints of all kinds. Our focus is also on prevention. In addition to individual check-ups, we try to maintain your health and expand its potential with measures ranging from nutritional and sports advice to stress management. Our therapeutic approach is extended by individual treatment methods such as naturopathy, homeopathy and acupuncture. As vaccine specialists, we have a good vaccination status for our patients. Our general medical practice also helps as a ""pilot"" to coordinate all steps of your treatment, possibly with other physicians. We work together with our network of renowned specialists. Dr Markus Frühwein is a the management board member of the Bavarian society for Immunisation, Tropical medicine and vaccinations and the Forum for vaccinations and delegate of the Bavarian medical association.